Designed / launched by whom/when: Over 40 years ago Milanese Industrial Designer Vico Magistretti created the maralunga sofa for Cassina Italy. The rest is Design history. Inspiration: Named mara lunga (long beach) it’s folded arms and backrests reminiscent of rolling waves. Fabrication: Steel frame. Cold formed polyurethane foam interior. Upholstery in original Cassina corded aquamarine /viola yarn mix fabric. Model 675_3. new covers from Cassina available to order through Design Consigned. Hidden Features: The unique ‘sinewy’ folding arms and infinitely adjustable headrests are the signature design features of this sofa. 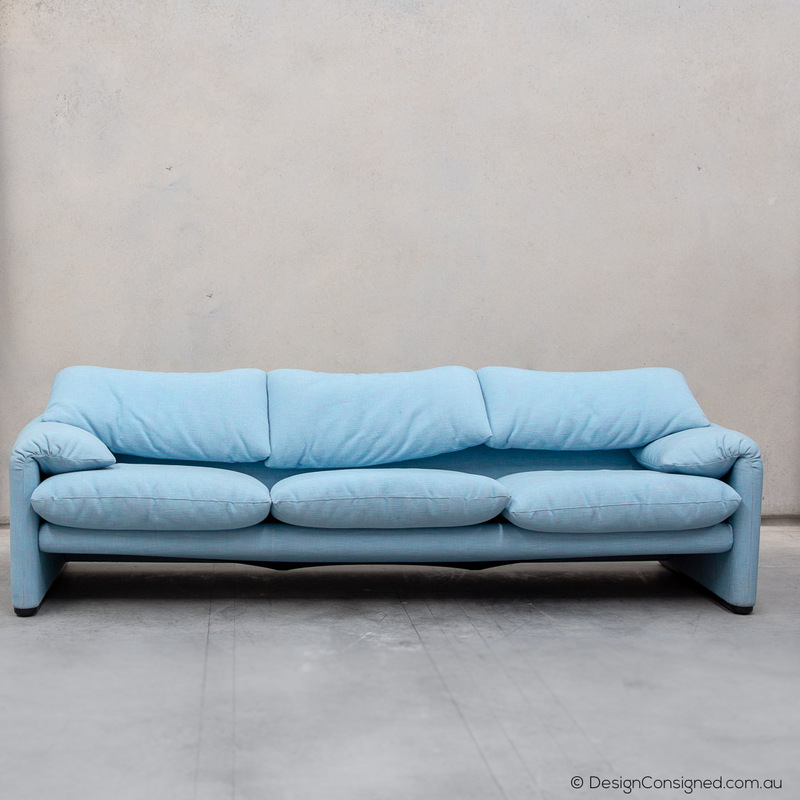 Design Consigned Stylist: Forget ‘seedy’ worn leather, this maralunga is as fresh, blue and inviting as the ocean itself. An iconic design centrepiece for well under half the current retail price. Design Consigned Collector: An authentic original maralunga 40 made in Italy by Cassina. One owner 1990s. Minimal use.